If you're throwing a celebratory knees up this year, make sure you put on a good spread with some of our best New Year's Eve recipes. 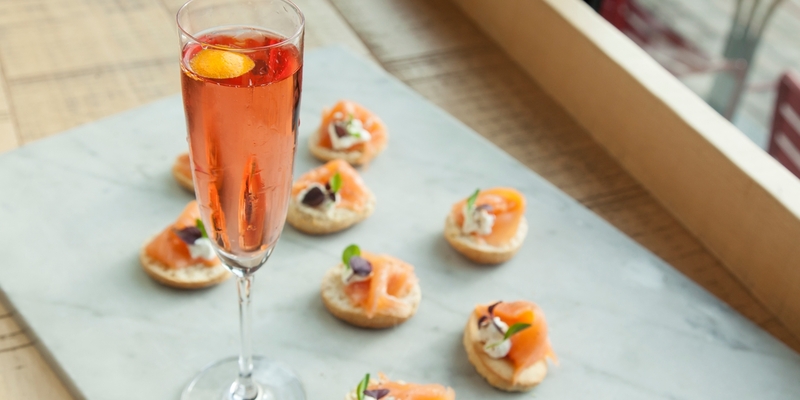 Cocktails are a must, be it in form of a non-alcoholic Aperol spritz for tee-totallers, or a cheeky Death in Venice cocktail, laced with Prosecco for a bit of New Year fizz. We have canapés aplenty, from Marcus Wareing's quick and easy crispy chicken canapés, to Richard Corrigan's adventurous smoked cod Scotch eggs. Larger snacks come in the form of Alfred Prasad's pepper chicken, or Paul Foster's indulgent pork pie recipe. Don't forget sweet treats, either - a piece of Adam Gray's millionaires mousse will keep sweet-toothed guests more than happy for the evening. Happy New Year!